Contacts, exchanges, and influences : verified lineage creations. Msr Lee accurately tells the true history of teachers and successorship. as Lu Hong Ba Shi 呂紅八勢拳 or simply as Lu Hong Boxing 呂紅拳 . In itself this is not a surprise and technically it would not matter which learning came first, the patterns of LHBF or those of LH8. What is significant is that the 'final' product of Wu, the Nanjing-66 form series of two 33-form parts does show the imprinting of the Lu Hong patterns. Thus, even if a student where to only learn the 66-form series, they would also have learned the embedded LH8 patterns. 0>Fan Gu Guo 范固國, a match-maker, introducing Wu to teachers. Unfortunately, even with a longer name that gives two namings for two aspects of the exercise, this does not offer the inputs that went into them; this seems to be derivations of TaiZu's 'Chang Quan (太祖长拳, Long Boxing) of the Song Dynasty and possible aspects of non-Shaolin ...LiuHe 六合拳 and BaFa 八法拳. This aspect has received some attention by some notable martial scholars, who strongly noted the absorption of prior martial arts into the later Chen Village exercises. (The Taizu is not the same as the Song-taizu - it is a local term referring to this kind of Tongbei ) martial arts family.
" I was introduced to one of the top people in the area, and visited him and the teacher is my age, and there were a couple of his elder classmates too - they also demonstrated a bit, and were spry and powerful in their 70's." "Things took a turn for the unexpected late in the day - we were watching some films that they had made of the system, and some footage of other systems was on the disc as well - Luhong Bashi, Bafa Quan, and Liuhe Quan, all native to the general area. " "I was very interested in what I saw - the BaFa Quan and the LiuHe Quan (not the Shaolin Temple Liuhe) [ Non-shaolin 非少林拳: 非少林六合拳 , 非少林心意六合拳, 非少林八法拳 ] had several very long forms - and they bore a very strong resemblance to major sections of LHBF - with very similar mechanics, but with much more visible force and exertion, like old style Lohan or Weito Shaolin. 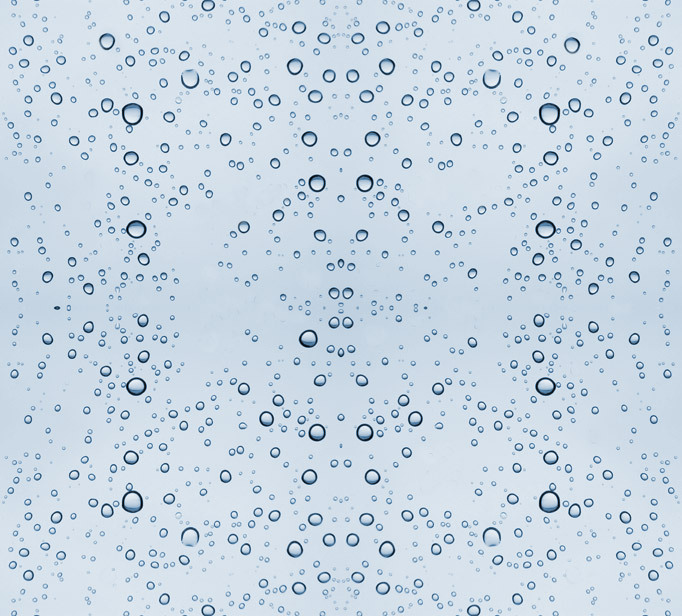 (There was also some Erlang Quan, but thats another story). "These are systems that have been practiced in this area for a long time - probably going back to late Ming or early Qing dynasty. They are well known here and throughout Hebei." "Yes, we know about Wu Yihui and LHBF. LHBF was developed by Wu Yihui and his teachers. It was developed from these two systems, and other things that Wu Yihui learned "
"We don't know where the whole Daoist myth came from - its a myth. This was developed here (meaning rural Hebei), and Wu Yihui was the person who developed and spread it." "Which, as far as I am concerned, makes a hell of a lot more sense than the general LHBF mythology we are all familiar with - and it explains why the system seems to have changed over time while Wu Yihui was still alive and teaching - he was stll working on it and changing it throughout his life." "Duliu Tongbei does not resemble what most people think of as Tongbei - it is not an "ape system". The Tongbei still refers to power transmitted through the back and into the limbs (which is part of what I was talking about in terms of mechanics). "As for Wu having a teacher for each of the separate systems - Wu said as much in his writings. When I get back to the States I will translate and post what Wu had to say about Lu Hong Ba Shi and his various teachers. 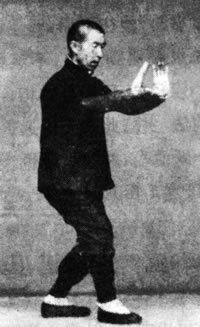 "The LiuHe Quan had a very long form that, properly practiced, takes about an hour to run through. There were a lot of succesions of movements that looked like they had been taken from both parts of what you are calling the Zuji Quan. "The koujue (5 character secrets and rhymes of the system) are very much like the ones of the Liu He and Ba Fa systems, and these are fairly common in type and content throughout northern systems." "...on the Tongbei system - Duliu Tongbei and Hongdong Tongbei are not related to Baiyuan, Wuxing, Qi Jia, or Ruyi Tongbei - those are 'ape movement' based systems and are basically similar in many respects, and share a common origin. Duliu Tongbei is more like "old" Shaolin - training power from body and kua, involving the legs, transmitted and in part generated from the spine and deep core muscles. The people I saw let me touch their chests, back, and legs as they demonstrated some of the movements - and also demonstrated some things on me - I was very pleasantly surprised to feel precisely what I know from all of my previous training was there in terms of mechanics - both obvious and hidden. The same was true for the Liu He and Ba Fa techniques. "As for the one hour long form - I asked "does anyone actually do that every day?" - "Nah, we practice it in sections- its broken up that way - sometimes we try to see how far we can go, but its gruelling. A couple of guys get through the whole thing a few times a week". "For comparison, think Chen Taiji on steroids - all of these systems I saw in Duliu "grind out" the details of the movements as they practice - it was amazing to see one 72 year old do the forms with no less exertion than a 30 year old. "Mr Wu [Yinghua] is the main promoter of the system in Mainland China, head of the int'l LHBFQ research association with headquarters in Huainan in Anhui Province. He organizes regular meetings of LHBF pactitioners from all over the world in his hometown.
" Re Duliu Tongbei, it is a very respected system in Shanghai. Wu Maogui definitively has decent skill, and while his flavour reflects his Taiji experience under Chu Guiting, Wu's Tongbei comes from pure source - Mr Bao Guanyuan, by some considered the sole inheritor of the system. BTW Mr Qian Zhaohong, XYLHQ practitioner from Shanghai and known to some board members, is also Mr Bao's disciple. "Mr Bao's main principle is that every practitioner should make the art his very own. One of the highest levels of the system is called -Dream Fighting" 梦打 - when one does not rely on thinking, just pure reflexes, when the art becomes deeply integrated into one's nervous system. On the road to that level personal character and preferences may influence the outside expression of the techniques, however the mechanics remains unchanged. Integrated Tongbei (合一通背) or Lotus Leave Tongbei (荷叶通背). The relationships and interactions among the martial teachers is significant as there will be a blending and mixing influence; sometimes beneficial and/ or not. It remains quite surprising that all other commentaries omit this topic. It is also known that Wu took an interest in a cluster of external boxing exercises [ believed to be of southern China ] and reworked to adapt them for use as a teaching aid. The exercises are NOT intrinsically part of nor necessary to the core of LHBF. Note that the emphasis of these exercises is upon swimming and coiling. Most teachers agree that aspects of these exercises are imbedded within the LHBF long form. Note: each of these exercises are derived from prior external types that were reworked by Wu to render them a internal types. Their input is generally assumed to be from the Nanjing Academy period as they were not used by Wu before. at the Third All-China Wushu Game held in Hangzhou City, in 1928. It is serendipity that these two teachers met, Wang already had a great reputation in the Beijing-Tianjin area as teacher, innovator, and referee. The 'flowing' or 'swimming' methodology of Wu brings a continuum which offered a 'dance' which in time was later developed into the Yi Quan. 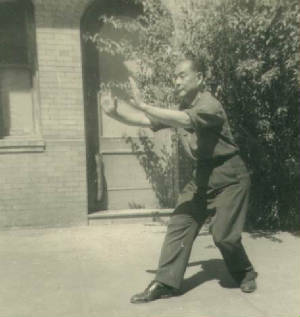 Wu's stepping and turning patterns were easily compatible with Wang's Yi Quan; Wang already had teacher friends in Tai Chi- [the Yang brothers Shaohou and Chengfu], but thought that it TaiChi- had become distorted by excess postures; Wang believed that xinyi-types of exercise should be done 'as Taichi-', and that the only usefullness of Chuang Zhang [Ba Gua-palms] was the Single and Double turnings. [first named as Sun Fu-quan 孫福全, which he continued to use]. Sun and Wu would meet almost daily for afternoon 'tea' and exchange ideas, each was academically oriented; many of the current classifications of Chinese martial arts derive from Sun. Msr. Sun was open-minded and permitted Msr Wu to teach his knowledge of 'water' boxing to one of Sun's students; [my second teacher Msr Ho] the differences between Wu's various teachings become evident from this exchange. Sun Lu-tang and Wang Xiang-zhai were the next-last and last students of GMsr. Guo Yun-shen 郭雲深, Sun fully learning xinyi-boxing and Wang learning only the inner powers core which he futhered by study and combat with other teachers. Although it would seem that fellow classmates would be on social terms, a 'testing' exchange by one of Wang's students, Zhao Dao-Xin who was 40yrs Sun's junior...resulted in Sun losing the match, losing 'public esteem', and likely chilling his relationship with Wang. [ Comment: the possilility of Sun 'throwing' the match can also be considered.] The event brings a question about Wang's vanity and his motives for allowing this match or of Zhao doing it. > a doubling of the existing 66-form Nanjing series to 132-forms to more fully exercise equally both right and left sides; the Nanjing-66 form tends to exercise the right side while attacking an opponents left and weaker side. Neither of these ambitions seems to have come together. It has been often speculated as to why founder Wu Yi-hui chose Chen Yik-yan as his lineage successor? Although there were longer students with more knowledge and also those more capable in martial ability, the choice was Chen. An answer to this may have to do with China becoming 'red', communist, and their repression of traditions and martial exercises..and the imprisonment of teachers, ie Lui Gui-yao. Some teachers 'disappeared' from Red China's view, while others relocated to Hong Kong, which until recently was a 'free' colony of England. Both Liang Zhi-peng and Chen Yik-yan took refuge there. Liang was open to evolution of the style, Chen adhered to strict conservation. Thus, by this reasoning, Chen was chosen for his conservation of the style, and was free of red China while he remained in Hong Kong. Now that Chen is dead, the arguments continue for a school successor and there is also some pressure to direct this to themselves. Some of the continuing argument eminate from Chen's attacks upon any 'break-away' teacher as being disloyal or as being only 'half learned' and unqualified to teach. Note: there does exist a learning principle embedded here : Evolve or Perish..
giving the input of styles and teachers that are significant.